The 2nd movie offering of Star Cinema this year is entitled My Cactus Heart, starring Maja Salvador and Mateo Guidicelli and introducing My Binondo Girl’s star, Xian Lim. 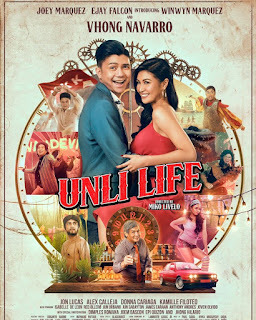 The movie is all about Sandy (Maja), a heart breaker; this is due also to her personal experience when her father hurt her mother. Then comes Carlo (Mateo), Sandy’s friend, who is always been rejected by her but won’t take no as an answer. And now, a new man came named Bene, Sandy’s handsome new co-worker. Now the question is who might the lucky one to enter her thorny heart? Star Cinema has released their official Valentine’s Day movie entitled Unofficially Yours, starring John Lloyd Cruz and Angel Locsin and is directed by direk Cathy Garcia Molina. Eugene Domingo’s Kimmy Dora’s sequel is now coming up to the stoplight, entitled Kimmy Dora and the temple of Kyeme. It is said to be a comedy horror film. According to the comedian, it took a lot of time to them to come up with a sequel because they were quite meticulous in coming up with the right material and it even took almost 2 years. 40% of the movie was shot in South Korea and is scheduled to be released on theatres on the middle of the year. After the successful team up in the movie A Very Special Love and You Changed My Life, John Lloyd Cruz and Sarah Geronimo reunites for the 3rd time in the movie entitled It Takes A Man To Love A Woman and will be directed by Cathy Garcia Molina. It was reported that the two will be having mature roles in this movie. Suddenly It’s Magic is another from Star Cinema to hit this 2012 starring the handsome Thai actor Mario Maurer and Erich Gonzales. The shooting will begin on April 2012.